Comparison of the LL-445 MayFly Shuttlecraft with the smaller LL-444 Gnat Class Starfighter. Note the design similarities. 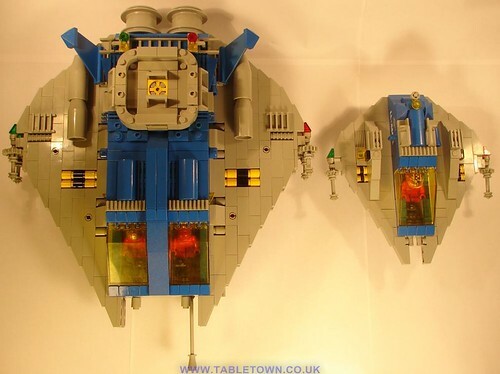 The LL-445 is essentially an upscaled version of the earlier ship.